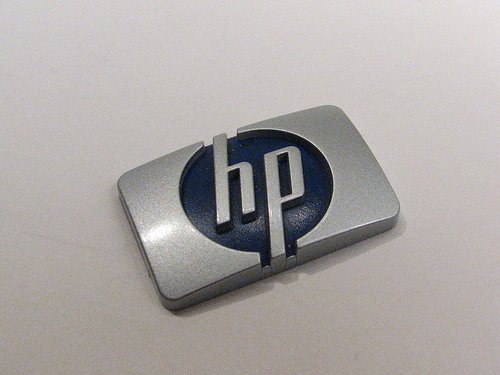 An interesting observation by the guys at MobileTechWorld has suggested that computing giant HP will no longer be a Windows Phone 7 launch partner, if slides presented by Steve Ballmer at the Microsoft’s Worldwide Partner Conference (WPC 2010) are to be believed. Back in February, Microsoft annonced a list of manufacturers and carriers that would support Windows Phone 7 Series: HTC, Samsung, LG, Sony Ericsson, Dell, HP, Toshiba to name a few. 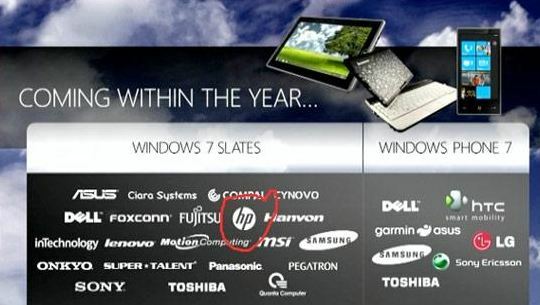 Yesterday, when Ballmer presented the official launch partners for both Windows 7-powered slates and its own Windows Phone 7 by way of a Powerpoint slide, HP was noticeably absent. We imagine HP will want to capitalize on the technology is gained from the Palm acquisition, dedicating resources to its own smartphone projects before supporting a third-party operating system. At the moment, only HTC, LG, Dell and Samsung have confirmed that they will be launching handsets in Q4 but we unaware if they will be available at launch.